Proceedings - Investments in new electricity generation capacity in Poland. What price levels can be expected in medium and long term and what will this mean for independent market entrants? 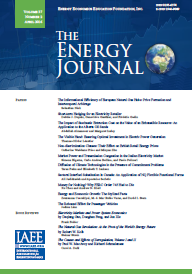 Published in Volume 6, Number 3 of The Quarterly Journal of the IAEE's Energy Economics Education Foundation.